Adidas Eddie Huang x Adidas Ultra Boost "CNY"
Eddie Huang x Adidas Ultra Boost "CNY"
To celebrate Chinese New Year, chef Eddie Huang's take on the Adidas Ultra Boost will don a red Primeknit upper with a premium suede lacing cage with a gold Chinese character on the red heel counter, which sits atop a white Boost cushioned midsole. Release date is Feb. 7, 2019 at a retail price of $200. 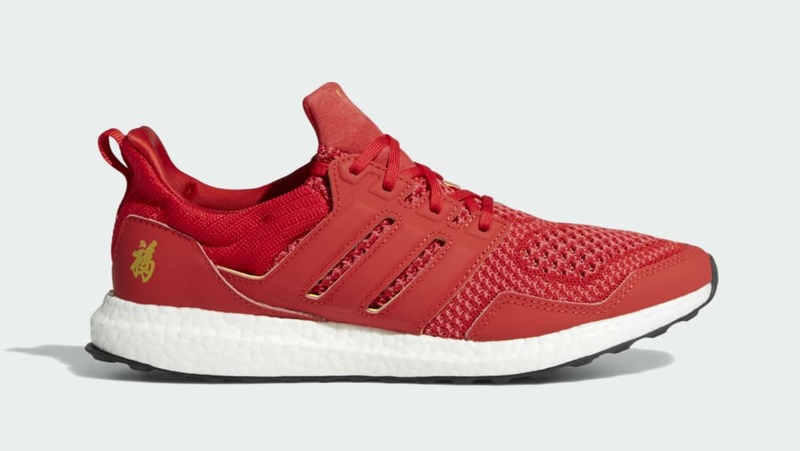 News Eddie Huang x Adidas Ultra Boost "CNY"